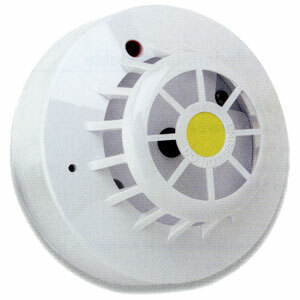 Apollo Series 65 CS Heat Detector. 75 degrees rate of rise detector. The Apollo CS Heat Detector CS detector is a fixed heat detector which only changes to the alarm state at a preset temperature. Remote output (R-) characteristics: Current sink to -ve line, limited to 17mA. Note: when using a remote indicator a current-limiting series resistor may be required.